Museum collections often receive many offers of evening or bridal wear, since these garments are emblems of the emotional ties that such special event clothing can have for the wearer. Wedding dresses, in particular, are loaded with symbolism and embody memories of that special day. In present times, a wedding gown is typically white and only worn once, but this wasn't always so. Unpacking the complex history of the wedding gown is a book by Edwina Ehrman, Curator of Textiles and Fashion at the Victoria & Albert Museum called: The Wedding Dress, 300 Years of Bridal Fashions. This meticulously researched book draws on the extensive collection of wedding gowns in the Victoria & Albert Museum collection, as well as paintings, fashion plates, photographs, letters, memoirs, newspaper accounts and genealogical records. 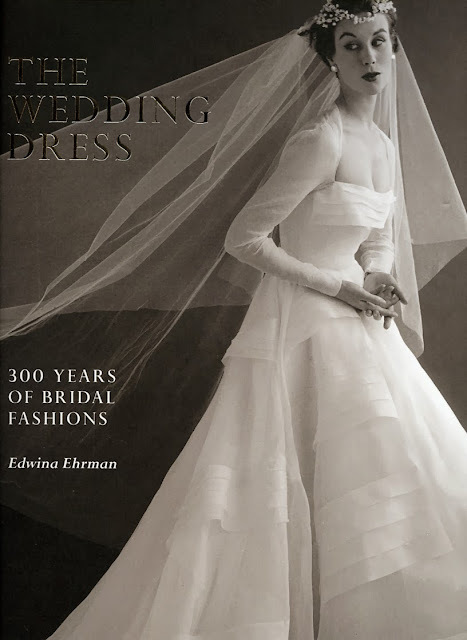 Not only does this book consider the history of the white wedding dress from 1700 to the present day, it addresses the cultural factors that have influenced and refreshed the stylistic changes over time. 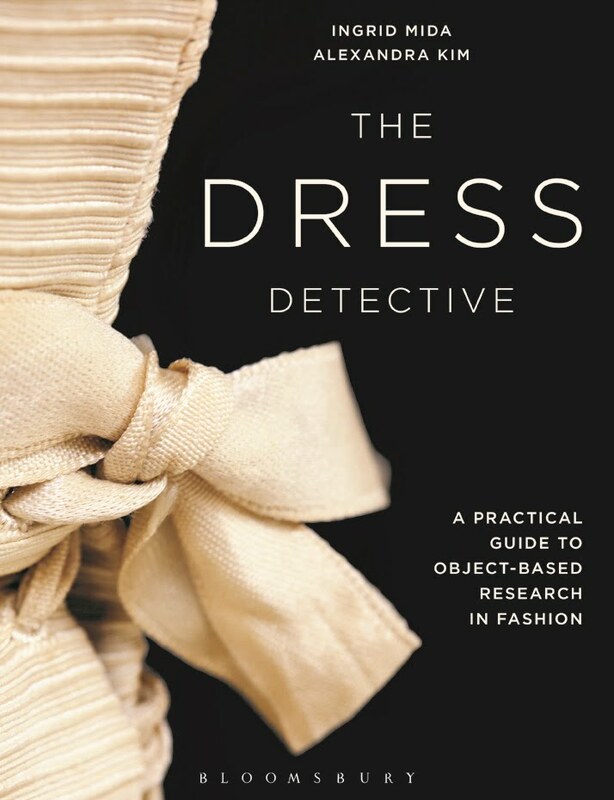 Books on wedding dresses fill the shelves and I've read several books on this topic before. What makes this book by Edwina Ehrman stand out is the comprehensive level of research she has undertaken on the topic, and the inclusion of detailed footnote notations which provide a mechanism for academics and university students to trace her work to original source material. Even so, the book is highly accessible to a broad audience with its engaging writing style. 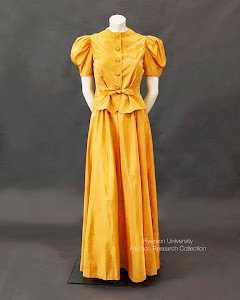 I especially enjoyed the case studies, such as the purple silk grosgrain bodice and skirt worn by Harriett Joyce in 1899 because at age 35, she "considered herself too old a bride to wear white" (96-97). It is stories like this that give the book texture and personality. The book includes sumptuous photographs of wedding dresses and the end material includes a list of wedding garments in the V&A Museum. Published in advance of the upcoming V&A exhibition The Wedding Dress 1775-2014 which will be on display (3 May 2014 to 15 March 2015), this book is not only a beautiful exhibition catalogue, but one that can be enjoyed by both brides-to-be, academics, dress historians, and anyone else who might enjoy learning more about the tradition of the wedding dress. P.S. I wore a cream wool and satin wedding suit by French designer Thierry Mugler for my wedding on November 8, 1991. That suit still hangs in the back of my closet, imbued with the memories of that special day.